Intek Leasing makes every effort to custom tailor a lease financing program to fit your company’s specific needs…regardless of how large or small your company is. 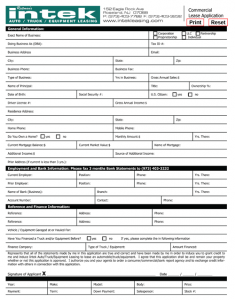 Please download and completely fill out our credit application and fax it to: (973) 403-3232. We will contact you once we receive the application.